Clint Brown's Fort Worth and Great Northern features the Missouri-Kansas-Texas and the Texas & Pacific in the 1950s from Denison to Waco, Texas. The urban layout has good opportunities for interesting switching and many beautiful structures that Clint has built. The layout is centered around downtown Fort Worth and Tower 55, where nine Class 1 railroads operated at the time. Clint includes Denison’s Ray Yard and Fort Worth’s Ginny and Ney Yards on the point-to-point layout. Anyone who loves Texas railroads or interesting operations should appreciate Clint’s work. 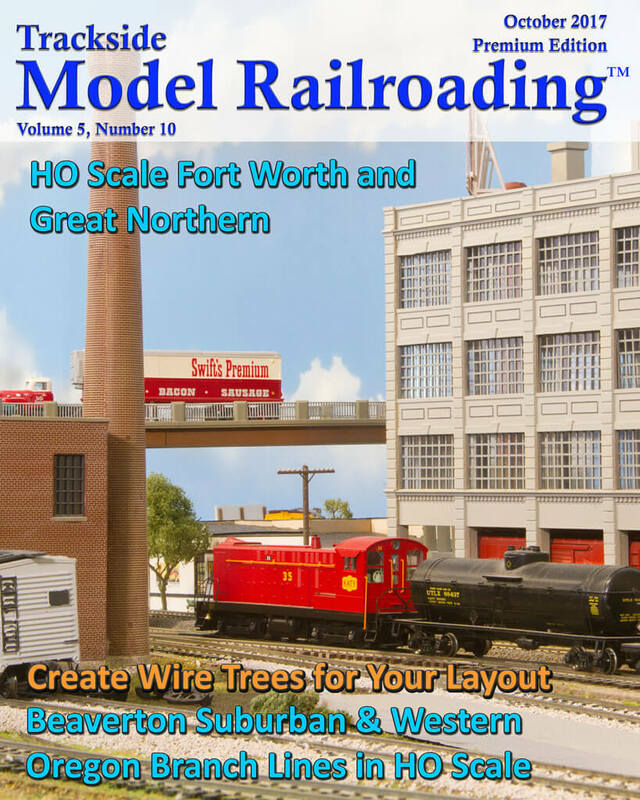 Our coverage of the Fort Worth and Great Northern includes an article, photographs, video of the layout in action, and an aerial-style map. 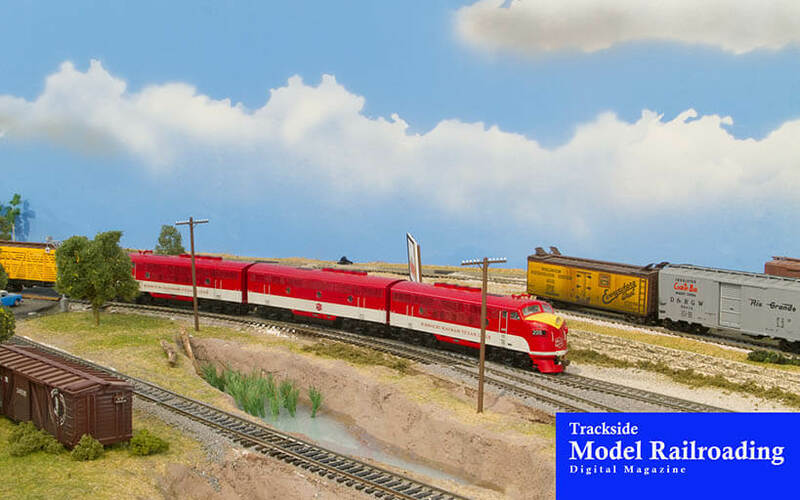 We previously shared the Beaverton Modular Railroad Club’s portable HO scale layout. 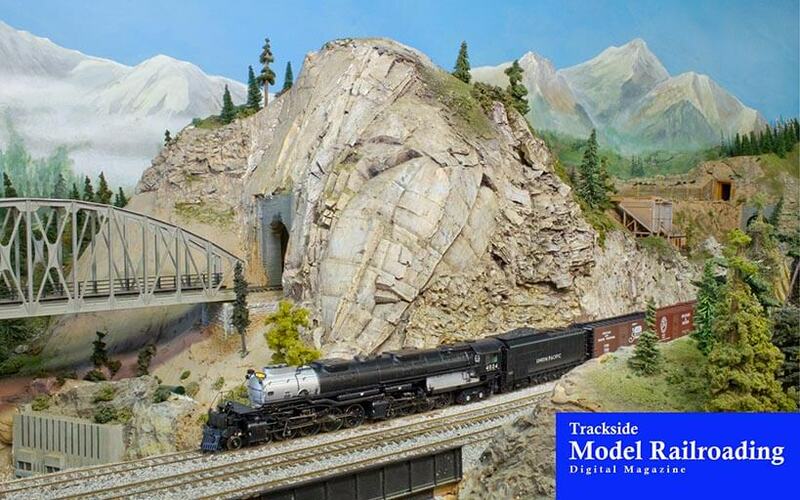 This month, we tour their permanent layout, the Beaverton Suburban & Western Oregon Branch Lines. The BS&WOBL is HO and HOn3 and is located in a freelanced version of the city of Beaverton and the surrounding areas in Oregon, including a line up into the Cascade Mountains. The layout includes city running, an amusement park, a mine, and various industries. You can visit this layout in person at the Alpenrose Dairy in Portland. Our feature includes photos, video, an article, and an aerial-style map. 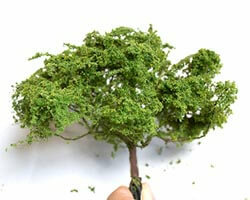 We show you how to make your own wire trees. This project is easy enough for anyone to complete and can be done so using scrap wire and a few other scenery materials. 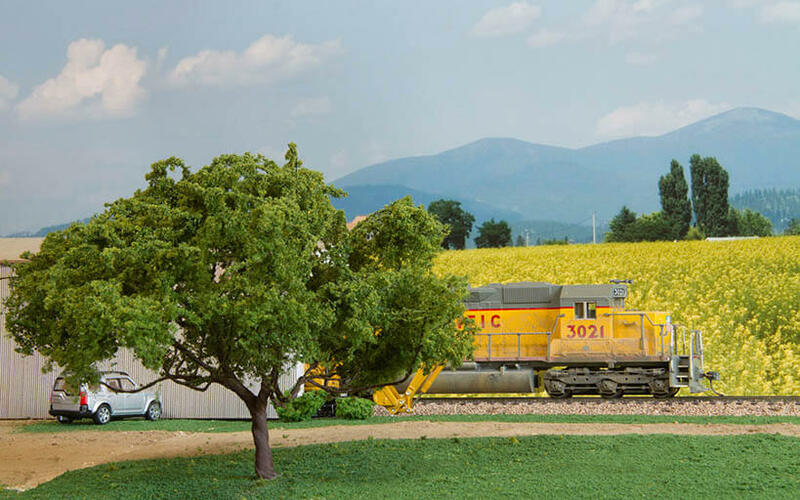 Wire trees can look quite realistic and be a fine addition to your layout in any scale, as you have complete control of the trees’ shaping and size. We hope you will make trees with us. Our project gives you a description of how to complete the steps along with a photo to illustrate each one.